Department of Environmental Protection (DEP) Commissioner Carter Strickland today announced that the City’s tap water was awarded the top prize in New York State’s Regional Tap Water Taste Test competition. The contest was held yesterday at the American Museum of Natural History in Manhattan and pitted New York City’s tap water against drinking water suppliers from Westchester, Nassau, and Suffolk counties. More than 80 museum visitors sampled tap water from the four suppliers and ranked them by taste. New York City’s tap water was judged to be the best tasting, followed by water from Mount Vernon in Westchester, West Hempstead in Nassau County, and tap water supplied by the Suffolk County Water Authority. After winning the Regional Taste Test competition, New York City tap water will next compete in a state-wide contest to be held in Syracuse, N.Y. on Aug. 29. The annual taste test competition which takes place in county, regional, and state-wide contests is organized by the New York State Department of Health and sponsored by the Centers for Disease Control and Prevention. New York City’s tap water is internationally renowned for its quality. 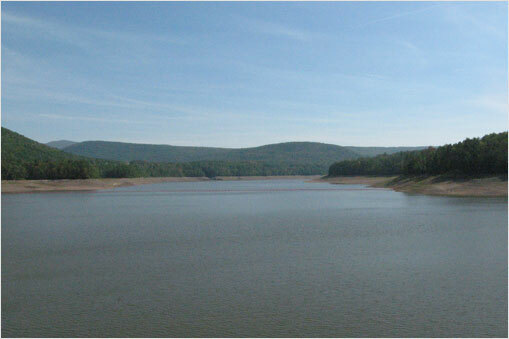 New York is one of only five large cities in the country permitted to run a largely unfiltered drinking water supply, due in large part to the City’s comprehensive watershed protection programs. The City has invested more than $1.5 billion in watershed protection programs since 1993, when the Environmental Protection Agency first issued the City a waiver from the federal requirement to filter the water from the Catskill/Delaware System. Earlier this year, DEP was the recipient of the 2013 “Exemplary Source Water Protection Award” from the American Water Works Association (AWWA). The award for metropolitan-size systems recognizes organizations that protect drinking water at its source by setting ambitious goals and implementing programs that are effective and innovative. DEP performs more than 1,000 daily tests of the city’s drinking water taken from nearly 1,000 sampling locations throughout the five boroughs. This is in addition to the 225,000 tests performed annually throughout the watershed. Each year, DEP publishes a Water Supply and Quality Report with detailed information about the water supply and the quality of the City’s drinking water. To view the report click here. NYC Water is a healthy alternative to sugar-sweetened beverages, containing zero calories, zero sugar, and zero fat. A typical 16-ounce bottle of soda contains about 180 calo­ries and 20 cubes of sugar. Sports drinks, marketed as healthy alternatives, have as many calories as sugary beverages and usually contain high levels of sodium. NYC Water is also affordable—at roughly one penny per gallon, it is approximately 1,000 times less expensive than bottled water. In addition, NYC Water helps promote the efforts of PlaNYC, Mayor Bloomberg’s sustainability blueprint for the city; production of plastic water bottles for use in the United States uses 1.5 million barrels of oil a year—enough to power 250,000 homes or 100,000 cars all year.